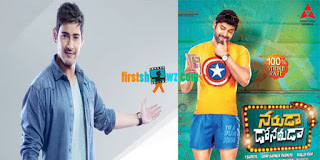 Sumanth is arriving to Tollywood screens with Naruda DONORuda after a long gap of two years, and the first look posters has gained good response. The film as informed is the official remake of the super hit Bollywood movie Vicky Donor. Naruda DONORuda audio is scheduled for a launch on 27th September, and Super Star Mahesh Babu who is going to be the chief guest of event will unveil the audio. Pallavi Subhash is playing the female lead in Naruda DONORuda, a romantic comedy directed by a debutant Mallik Ram. Sumanth himself produced the film in association with John Sudheer Pudhota while Annapurna Studios will present it.